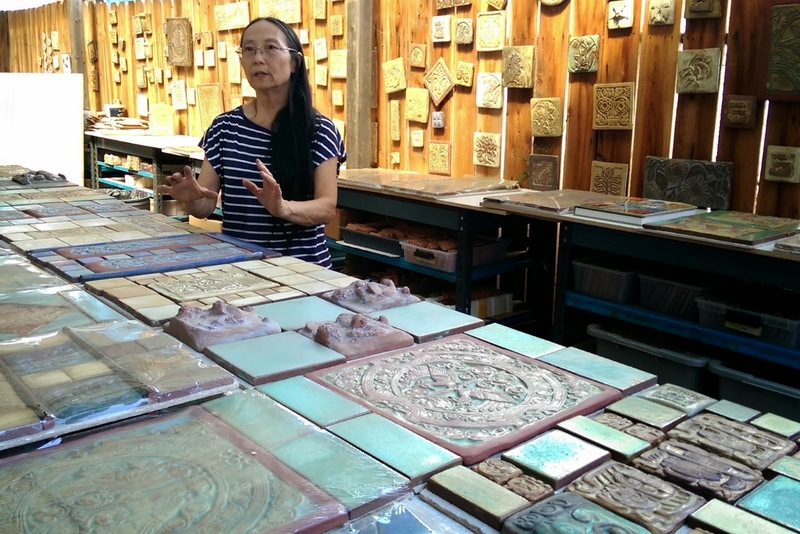 Cha-Rie Tang discusses the tiles that will be installed at the Monrovia station. The Metro Gold Line Foothill Extension Construction Authority reports that the historically-inspired tiles for the Monrovia Metro station should be ready to be installed at the Monrovia station in early 2015, as will the art for all the new Gold Line stations. The 11.5-mile Foothill Gold Line from Pasadena to Azusa is now more than 80% complete. All 28 miles of light rail track are now installed; all 14 at-grade crossings are complete; and the project’s 24 bridge structures are finished. Last month, the final traction power substation was installed and all ten substations are being prepared for service. These substations convert the electricity provided by the local utility company into the type needed to power the Overhead Catenary System, which then delivers power to the trains.